This story originally appeared as an article in the RiotACT. Canberra is without doubt the most progressive city in Australia. Our unique exposure to politics, national institutions, international embassies and the best public education system in Australia means we not only abhor bigotry and intolerance, but we know how to recognise and congratulate those taking the piss out of it as well. 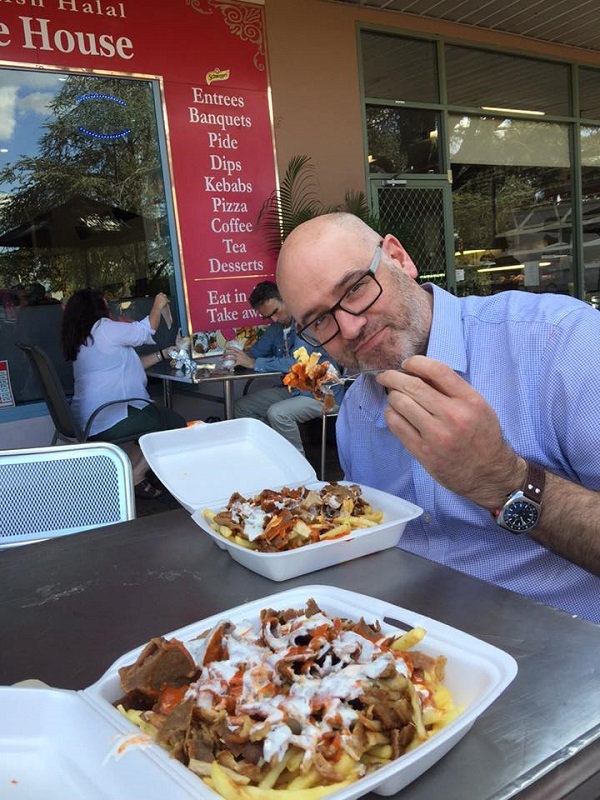 We quickly understood and embraced the poetic hilarity and irony of the Halal Snack Pack craze sweeping kebab shops across Australia, particularly in Sydney and Melbourne. 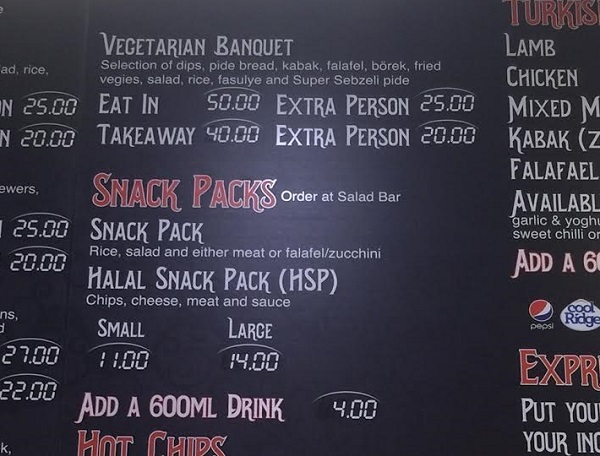 Those of you who enjoy food and humour (who doesn’t) and have yet to join the Facebook Group “The Halal Snack Pack Appreciation Society” (HSPAP) need to sort yourselves out. 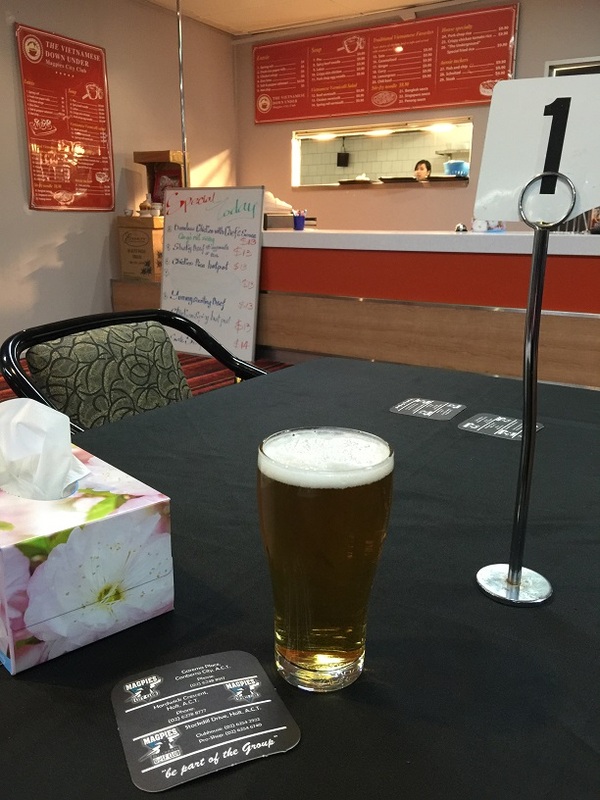 When I first joined the HSPAP around March I spent several hours admiring the THOUSANDS of posts of reviews and pictures of HSPs and halal-related cheekiness from around Australia, some of which were absolutely hilarious. The HSPAS quickly becomes a media phenomenon and has now grown to over 175,000 members. It is impossible to keep up with all the posts, let alone all the alerts every single time a friend likes or shares something HSP-related. I’ve learnt the best way to keep up with Canberra-specific HSP posts is to use the search field and look for anything that mentions Canberra. Which brings me to my next point. Upon sharing our HSPAS discoveries and joys my friend Dan and I decided to try and find one in Canberra. 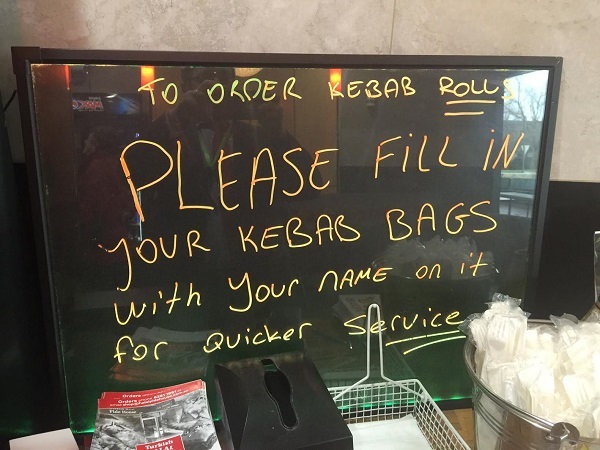 There had been a few suggestions thrown about and a few of Canberra’s more enterprising kebab shops had already jumped on the bandwagon. We decided though, like all aspiring HSP connoisseurs, that our local favourite kebab shop would have to be our first point of call. Now, Turkish Halal Pide House in Yarralumla already had a pretty awesome reputation for pide and kebabs – surely they would be serving HSPs now, along with what seemed to be most kebab shops in Australia? We were very pessimistic when we arrived one afternoon and saw clearly that it wasn’t on the menu. I asked them “excuse me, do you sell Halal Snack packs?” The response was a loud laugh “sure mate, have a seat and we’ll put one together for you”. So Dan and I both enjoyed our first Canberra HSP. And it was good. Very good. For the purposes of this story, I have returned to what is, in my humble opinion, the best kebab shop in Canberra, to see how their HSP sales are progressing. I spoke with owner and chef Ugur Kocuk, seen below masterfully shaving off kebab meet from his lamb rotisserie. Ugur explained HSPs sales were still growing since we first visited him in March and he was constantly amazed at how popular this particular meal had become. And now HSP’s are definitely listed on the menu in the shop! Since it began trading in 2003 Ugur’s Turkish Restaurant prided itself on many aspects of the food they produced, and the same professional desire for excellence showed in the way he prepared the humble HSP. And the regular custom and word of mouth did the rest. The line into this shop is often out the door at lunchtime and during the evening dinner rush. They open seven days a week from 9am until about 8pm and there is a constant trade, including many people who do not live in the local area but know how good it is and make the journey for the food. Apart from HSPs, Ugur’s business is growing to meet the increasing demand for offsite (i.e. delivered) catering. I asked him how far he would cater and he explained how he had provided all the food for two recent weddings in Bungendore! His online menu is here and you can order over the phone as well! And you can see from the tweet below he has many fans in and out of Canberra! 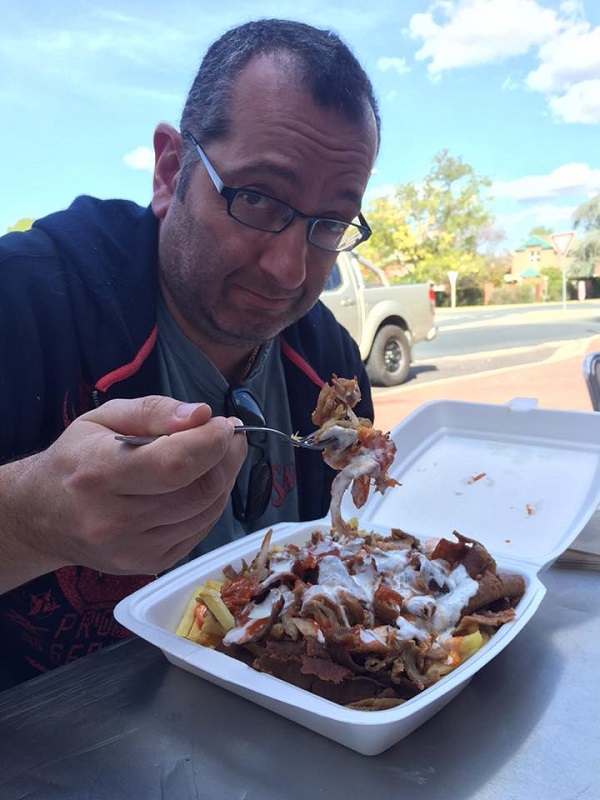 I asked Ugur to explain some of the reasons why his HSPs tasted better than those at other kebab shops in Canberra. I was particularly impressed when he explained how he sometimes used TWO layers of cheese (one above the chips and another between the layers of meat). He also explained how he bought the best quality chips and meat for his rotisserie and that a few other establishments cut corners on this front to save a few dollars but the taste was very different. But the killer punch that makes his HSP far superior to so many others is the home-made (with a secret recipe) garlic sauce. All Ugur would reveal to me was that it contained mint, garlic and yoghurt! His team also constantly bake their own bread, including their own kebab bread, which they made by hand each day. 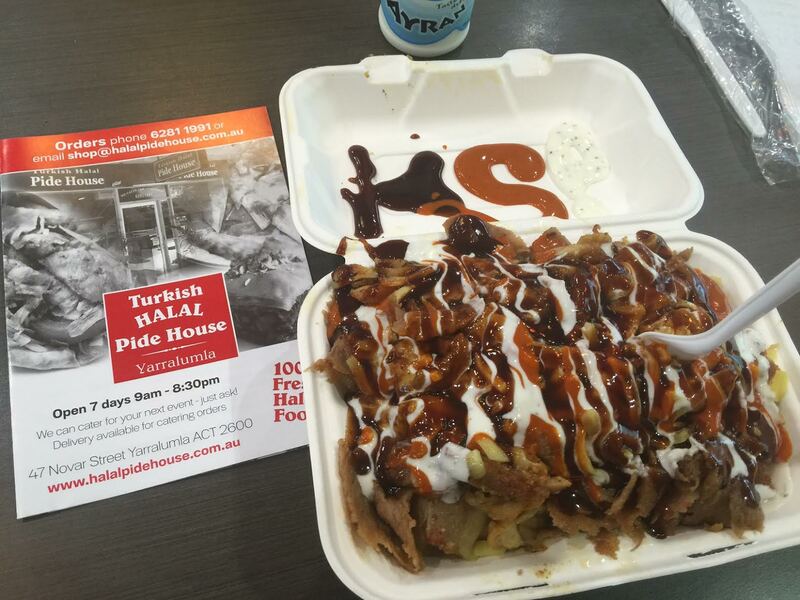 Halal signage 10/10 – the place is called Turkish Halal Pide House! Meat 10/10 Beautiful lamb and chicken, eaten together, like Allah (the word for God in Arabic) intended. Sauce 10/10 – the holy trinity (bbq/chilli/garlic sauces) is even holier with home-made garlic sauce. Packaging 10/10 – solid styrofoam. None of that hippy recyclable cardboard that is creeping into the HSP universe (just being cheeky here, cardboard is ok, bloody hippies). Chips 10/10 – now that they make them regularly, they do it well. Cheese 10/10 – it’s optional, so I optionally ordered extra. Two layers is best. Trust me. Overall rating 10/10 – best in Canberra. And I should know. I’ve had a few! I should also explain that much of the credit for fostering and promoting the HSP phenomenon across Australia (and now, increasingly, across the world) was the early adoption of Senator Sam Dastyari as the informal patron of HSPs, or “minister for HSPs” as he is occasionally referred to on the HSPAS pages. Sam not only famously spoke about HSPs in parliament but also appears in numerous videos explaining what they are and how they are made and how to avoid being called a “Haram Dingo“. Most recently, following a public controversy over a declared gift from a Chinese donor, Sam resigned from the front bench of the Labor Party and was immediately memorialised by his HSP fans, including this author with the now famous “Put Out Your <insert appropriate silly object>” meme all over social media. Recently I was near Woden for a lunchtime appointment so decided to check out Black Rock Turkish in Weston Creek. Couldn’t resist jumping on the #PutOutYourHSPs bandwagon at the same time. OK, I know not everyone will agree with my praise for Yarralumla and its Turkish food. Also, some people don’t like waiting in lines. You can reduce your waiting time for kebab orders by calling in your order before you arrive, or even using the clever “fill in your kebab order and name here” instructions to the right of the ordering counter. I also enjoy the Pide shop in Charnwood on a regular basis, as it’s much closer to home! In fact, Kebab shops are a bit like local grocers, butchers or local mechanics – people are so happy to have one that they always think their local one is better than all the others. Now, you may think your local kebab shop does better HSPs? tell us why and show us a picture, and don’t be afraid to share it on the HSPAS facebook page as well! Of course it is Jolene! Elias (aka CBRfoodie) Recommends: try to avoid the obvious lunch and dinner rushes and enjoy taking your time eating and watching the serious variety of people coming and going and sharing delicious Turkish food. Elias Hallaj (aka CBRfoodie) is a part-time food blogger and full-time political staffer who has joined RiotACT as a regular contributor. All opinions are his own. If you have any tips or feedback you can find him on Twitter @CBRfoodie. 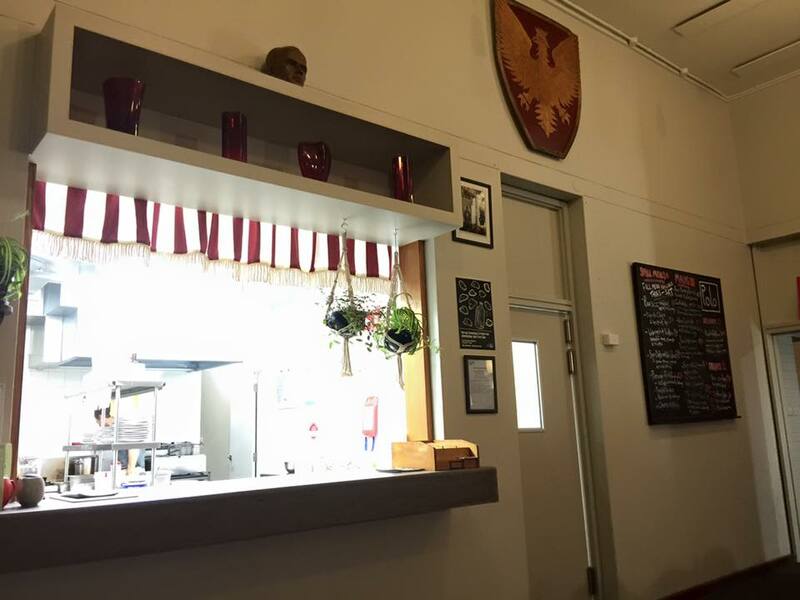 This entry was posted in 3 #Canberra Beanies, Current Top Ten - highly recommended and tagged Canberra, CBR, food, Halal, HSP, HSPs, Kebabs, Packs, Snack, turkish, Yarralumla. Some of you may be aware of the Halal Snack Pack craze sweeping our nation. It started off as a cheeky reaction by a group of Sydney mates to some anti-Halal hysteria spread by the likes of Cori Bernardi, George Christensen and Pauline Hanson. The started the Halal Snack Pack Appreciation Society on Facebook and the rest is history. There have been several mainstream media stories explaining the phenomenon and thanks to NSW Senator Sam Dastyari it has even been featured in the Senate Hansard of the Australian Parliament. If you’re in Canberra and you need to find out for yourself how good this culinary protest movement is then get thee to the Yarralumla Turkish Halal Pide House ASAP. Here is what you can expect! $15 gets you a HUGE styrofoam container filled with chips & meat smothered in sauces! 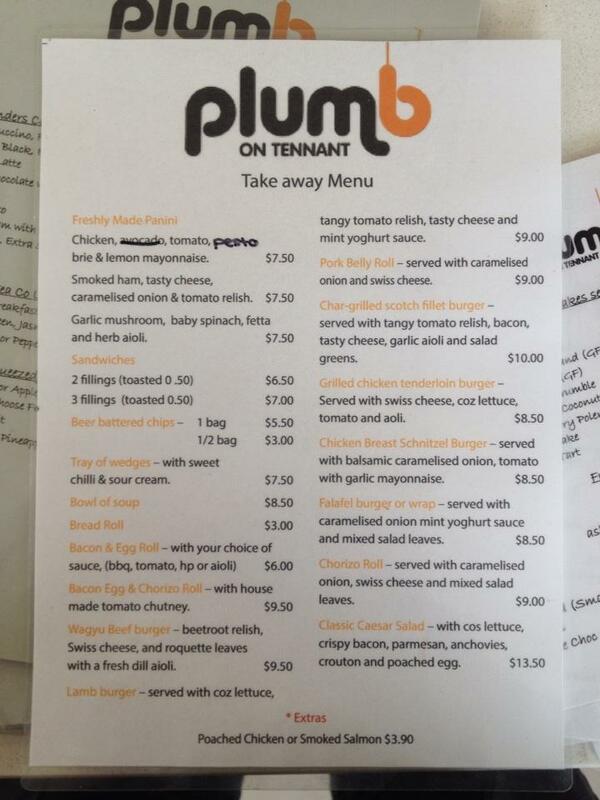 It’s ‪#‎Halal‬ so you know it will upset some white people & it’s meaty, so sorry for those who like salad.And although it was not on their menu for a long time (like it’s a top secret for smart people or something) enough people asked Ali nicely so it now features on their permanent menu! People power works! So naturally, Yarralumla kebabs gets three Canberra beanies! 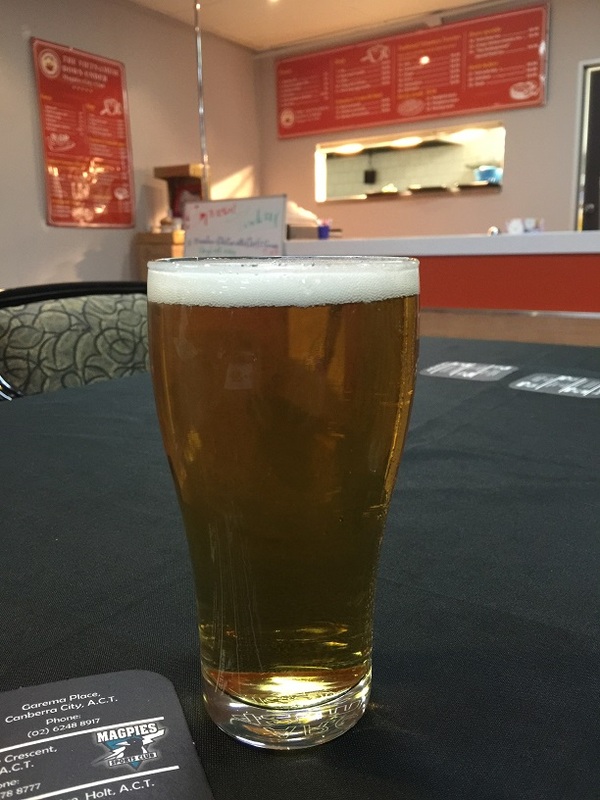 This entry was posted in 3 #Canberra Beanies, Current Top Ten - highly recommended, Uncategorized. I have to admit that most of my past reviews have been about lunchtime specials. I will try and include more affordable Canberra dinner options in future, starting with this one! 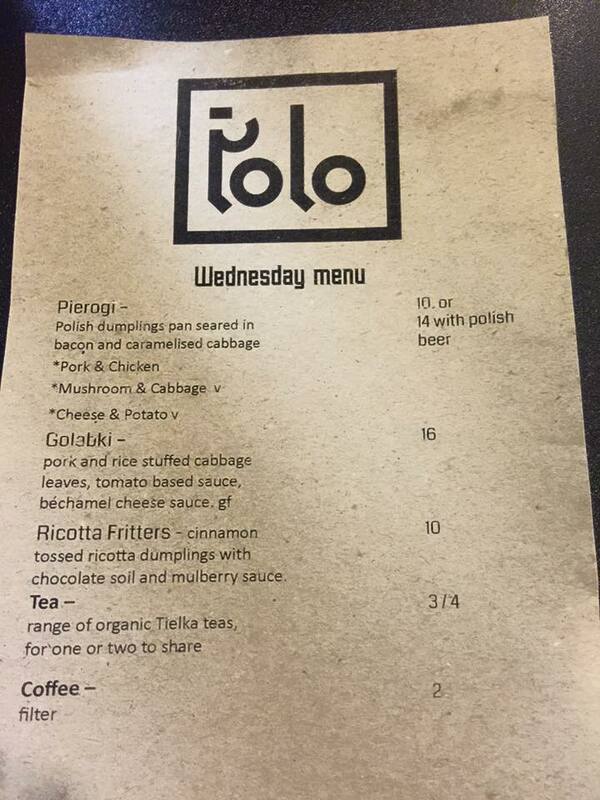 My new fave Wednesday ‪night dinner is the $14 Pierogi special at “The Polo”, which is the restaurant inside the Polish White Eagle Club in Turner. 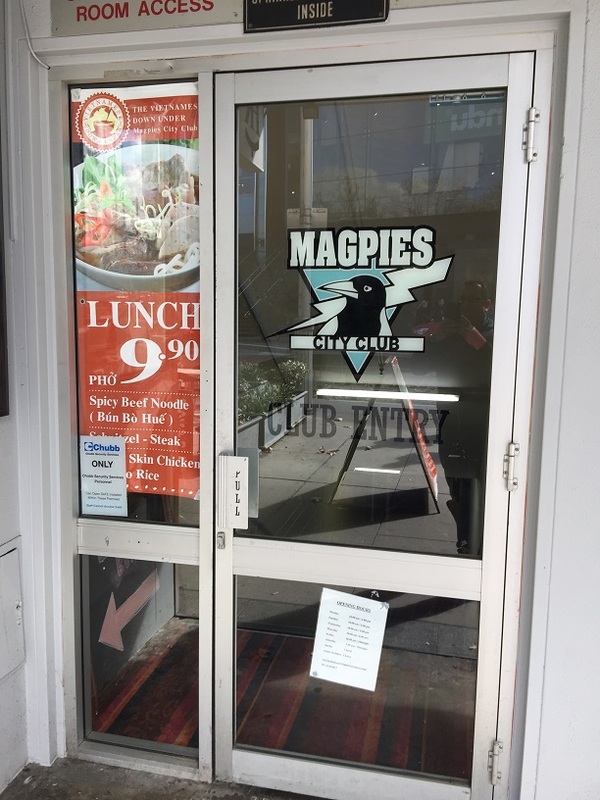 Locals would be aware that the club was destroyed in a fire in 2014 but has since been rebuilt through a big community fundraising effort and it’s well-regarded restaurant has re-opened. 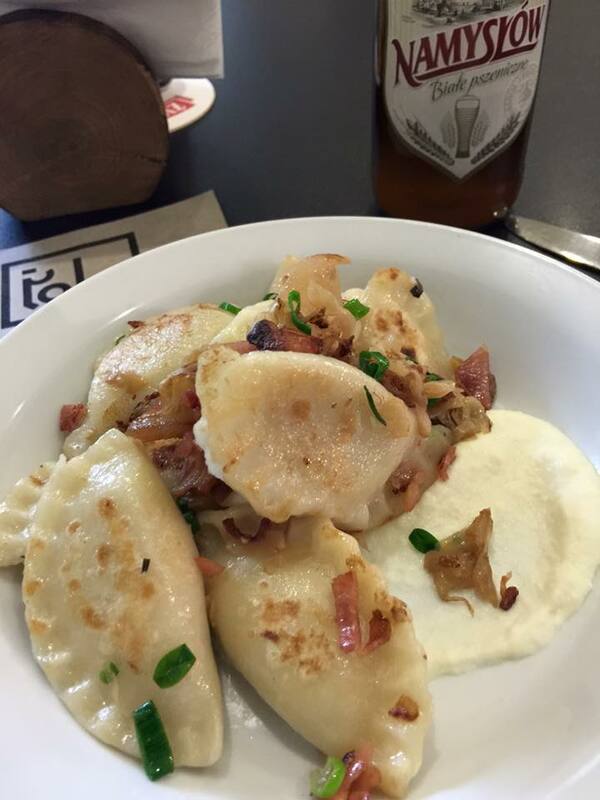 The Polish Club has a Facebook page, which regularly reminds followers about specials and special events. I dropped in and wandered up to the window between the restaurant and kitchen to place my order with the friendly staff. I chose the pork dumplings from the menu of Wednesday night specials. 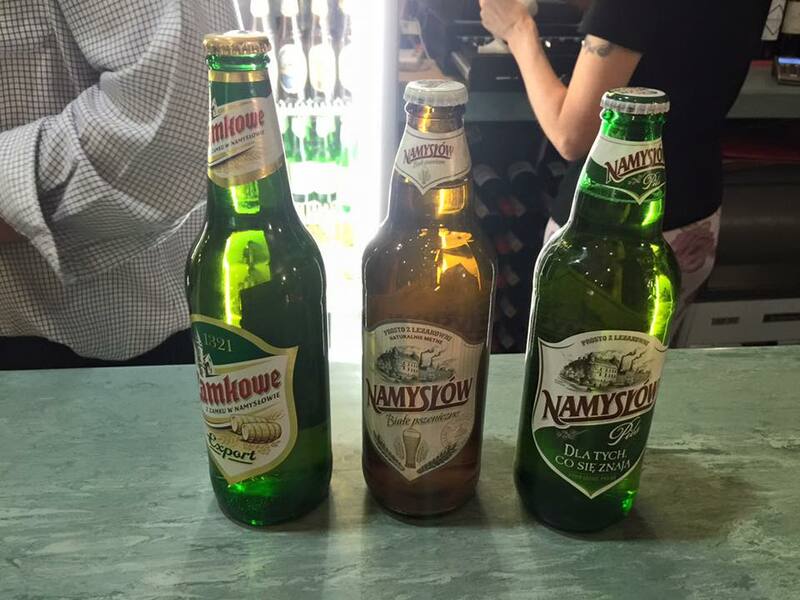 When you order the special you get a small voucher to exchange for an authentic polish beer at the bar. You have three beers to choose from. The service was quick and I had just enough time to take a few photos, scribble some notes about the menus on the wall and drink some wheatbeer before my buzzer started buzzing. The dumplings were cooked to perfection. I will be back and intend to sample more from the extensive menu. AS well as great food the club also hosts regular community events and is a regular gig for the Canberra Musicians Club. More info on events at the Polish Club can be found on the website “events section”. Highly recommended for value and taste! 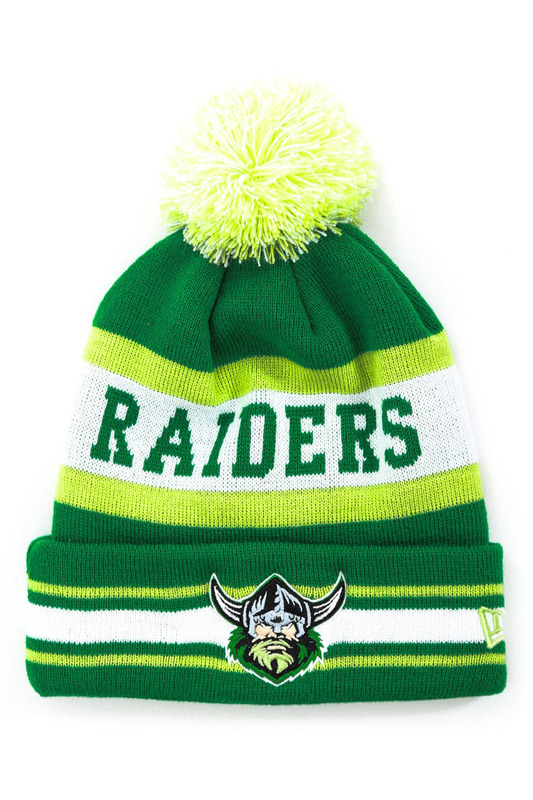 – Three Canberra Beanies! 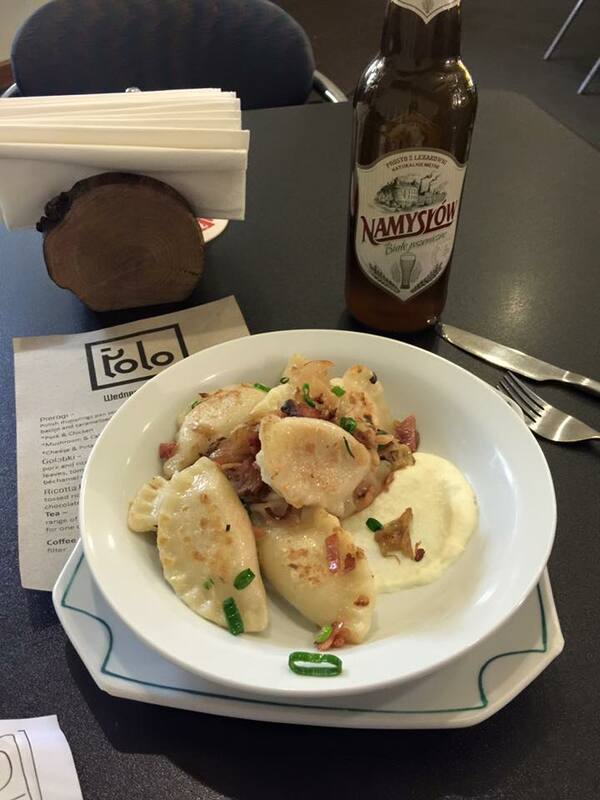 This entry was posted in 3 #Canberra Beanies, Current Top Ten - highly recommended and tagged Canberra, CBR, dinner, dumplings, food, polish, polo, turner. 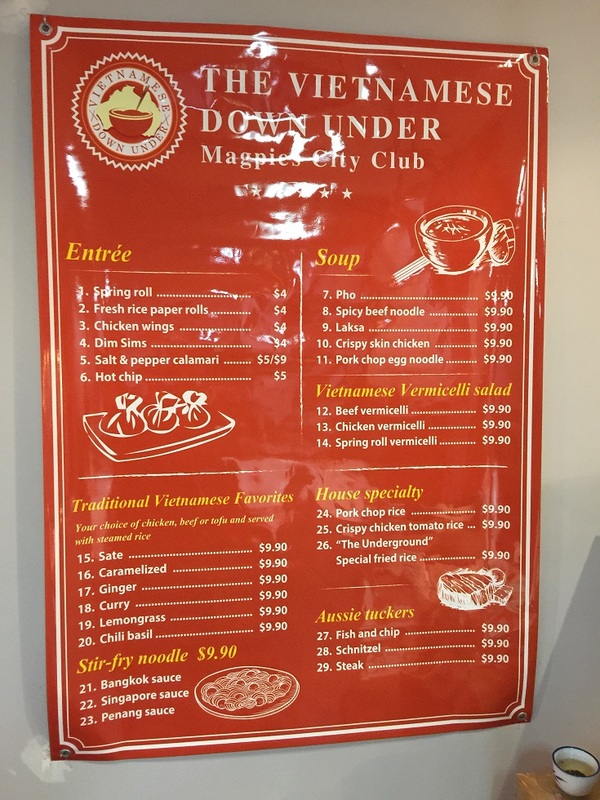 Tucked away downstairs under the Magpies City Club in Canberra is Vietnamese Down Under. This place has had a few different incarnations, most recently as “The Underground”. It’s easy to miss it unless you’re a Garema Place regular and/or you notice the bright red A-frames in Bunda Street (next to Gus’s cafe) or in Garema Place near the Magpies Club Entrance. If like me you’re normally staring at your phone while you walk, you could be forgiven for walking straight past and not noticing the front door. Come on inside! 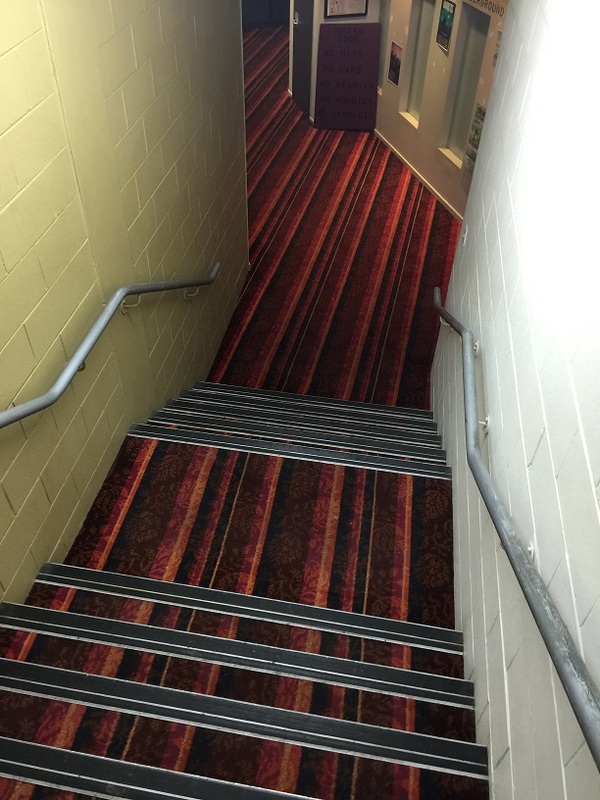 Don’t be put of by the 70s-style club decor of the majestic stair case. Think how much easier it is to clean after a big Saturday night! 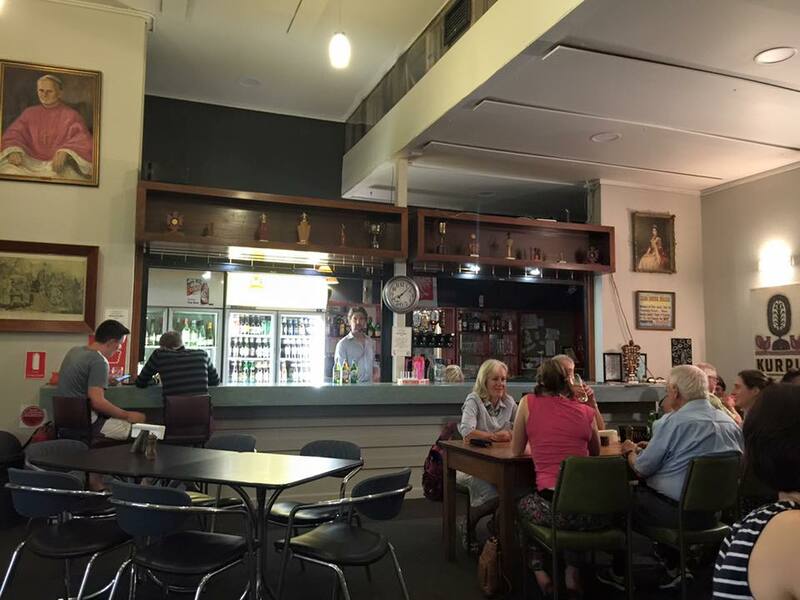 Personally I think there are more attractive community club venues in Civic (The City Labor Club in City Walk and Hellenic Club on Mort St for example, both of which also have awesome lunch specials) but variety is the spice of life! And how many other tasty and affordable Vietnamese restaurants in Canberra also serve schooners of beer at club prices? None! The menu on the wall reveals a large array of Vietnamese favourites at affordable prices. I have been here a few times and can attest that the $10 pho soup is quite good. Particularly on cold wintery Canberra days when you want a warmer and quieter lunch venue well away from the wind! The service is good and fast and I will be back for more. For taste and value the Vietnamese Down Under gets Three Canberra Beanies! 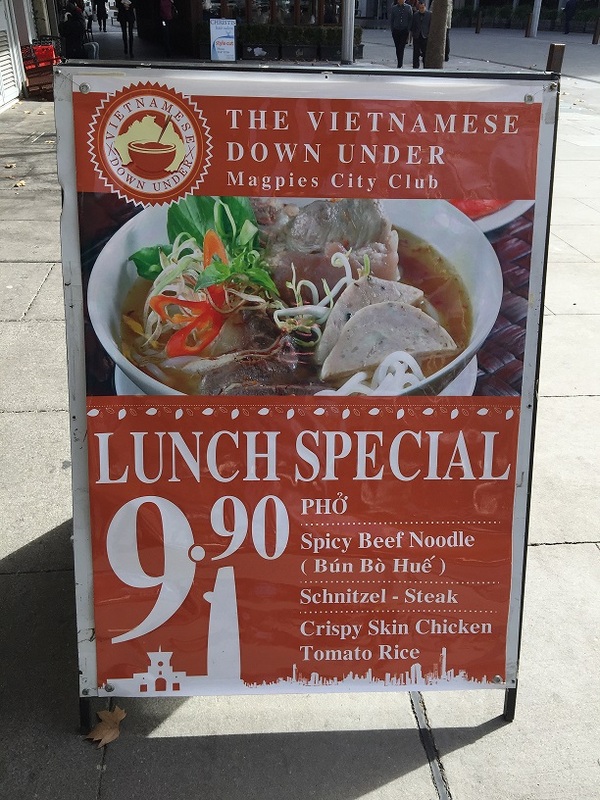 This entry was posted in 3 #Canberra Beanies, Current Top Ten - highly recommended and tagged Canberra, CBR, cheap, city, civic, club, Down, eats, lunch, Magpies, noodle, pho, soup, Under, vietnamese. A few months ago observant food lovers in Civic noticed that the French-Morrocan restaurant Ardeche sadly closed its doors in Anislie Place (just near the Canberra Times fountain and main city-side entrance to the Canberra Centre. The mourning didn’t last long however when it was revealed that the replacement would be a re-incarnation of Little Saigon. 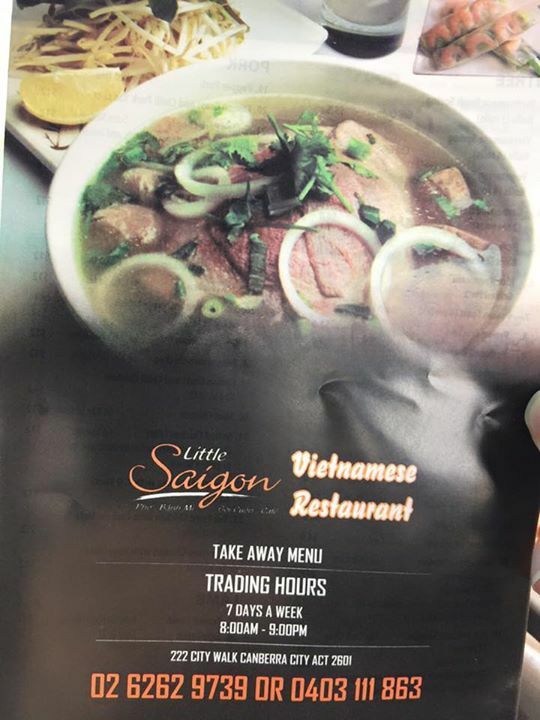 Lovers of Vietnamese food would remember the earlier version of Little Saigon which once traded on Northbourne Avenue. The same family has regrouped and put their experience and love of Vietnamese food to good use with a new establishment. 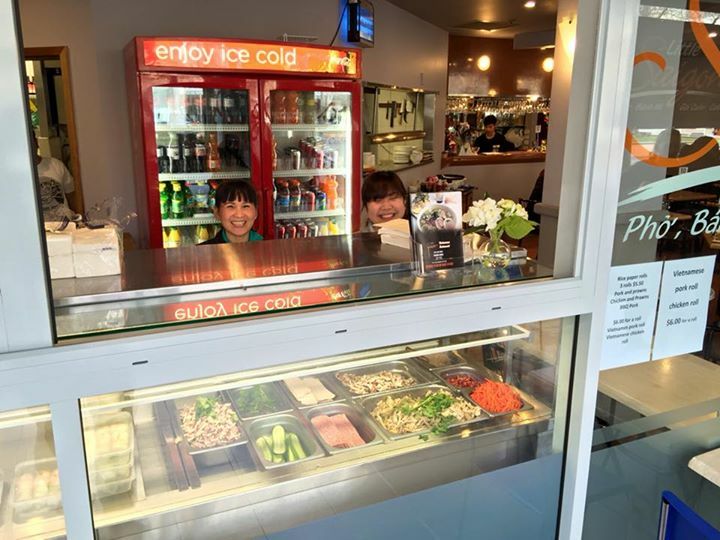 As well as the sit-down restaurant which serves Vietnamese favourites such as Pho Noodle Soup and Rice Paper Rolls they also operate a window for delicious Banh Mi (Pork rolls) which they sell for $6. 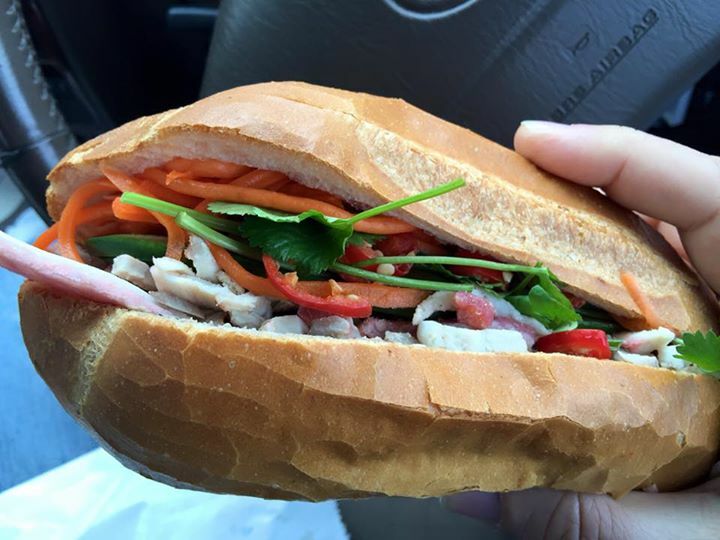 The Banh Mi is full of tasty ingredients. The service is fast and friendly. 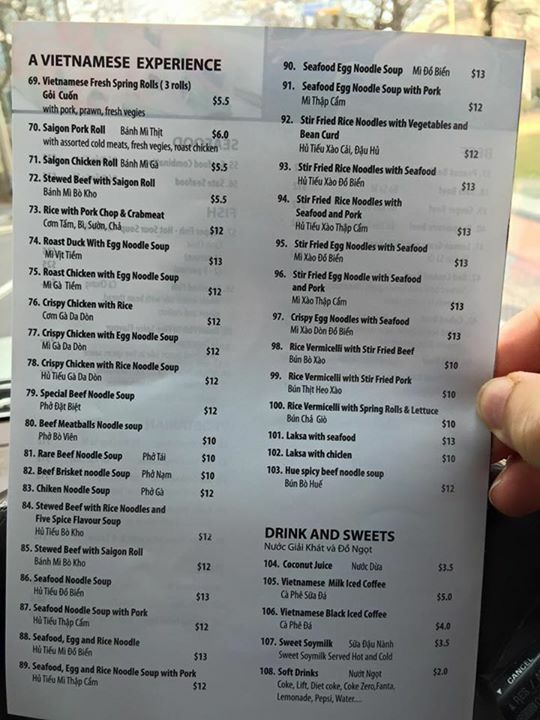 The Vietnamese menu is extensive. 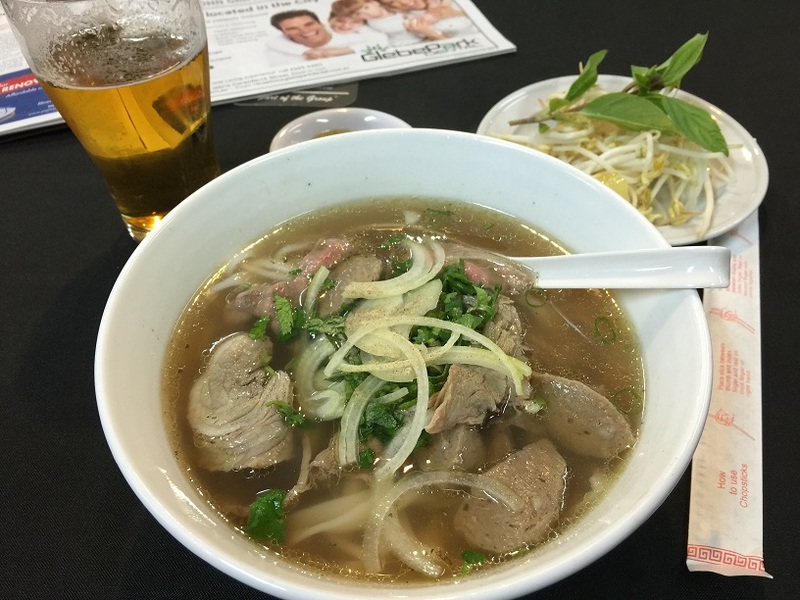 I’ll come back to this post and add more pictures of a couple of other meals I have enjoyed here, including the Vietnamese classic Pho Noodle Soup. This place is great and a welcome addition to the Canberra City Restaurant scene. Three #Canberra Beanies! 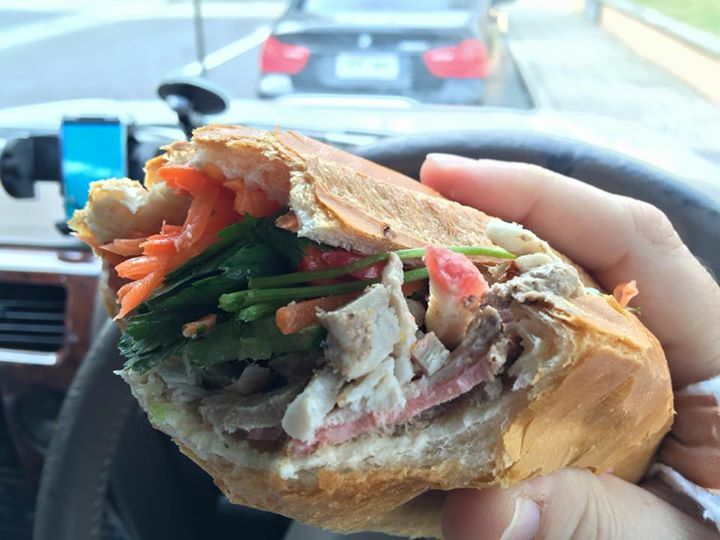 This entry was posted in 3 #Canberra Beanies, Current Top Ten - highly recommended and tagged Banh, BanhMi, Canberra, CBR, food, lunch, Mi, pho, pork, roll, vietnamese. 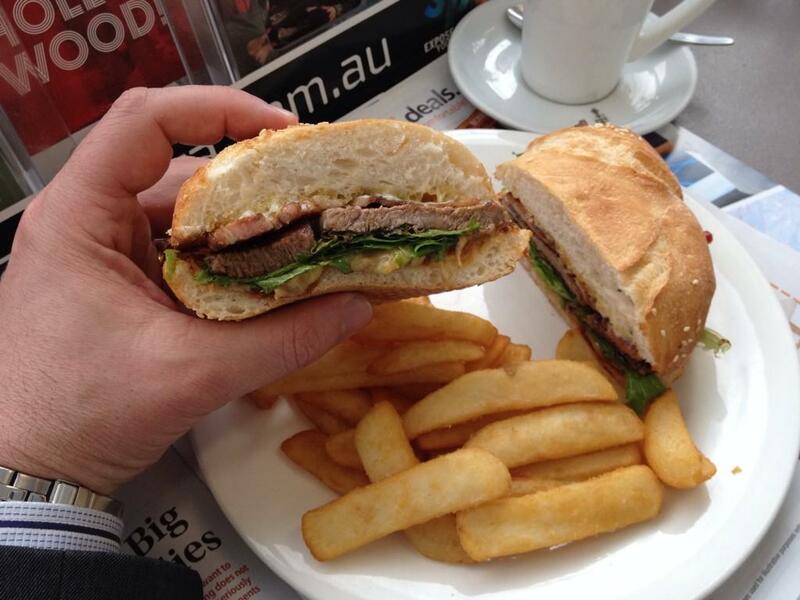 I enjoyed a delicious $10 grilled scotch fillet burger with a side of $3 fries! The burger was tender and the toppings were well-balanced. The fries were awesome (clearly hand-cut and perhaps slightly boiled prior to frying, ensuring a crispy exterior and creamy inside – how they should be!) I asked about the bread, which seemed a bit nicer than your average burger fare and was pleasantly surprised to learn they source all their buns from Flute bakery in Fyshwick, which I had previously rated highly for their pies and sweets. It’s always good to see local businesses supporting each other and not cutting corners on locally-sourced ingredients. This place is recommended if you’re ever in the area and want a quick bite or you can check out their larger menus for other tasty options for breakfast and lunch. I will definitely be back and will probably have a longer chat with the owner, who has worked in the local hospitality business for a long time and clearly has a lot of Canberra foodie stories to share. Three Canberra Beanies! 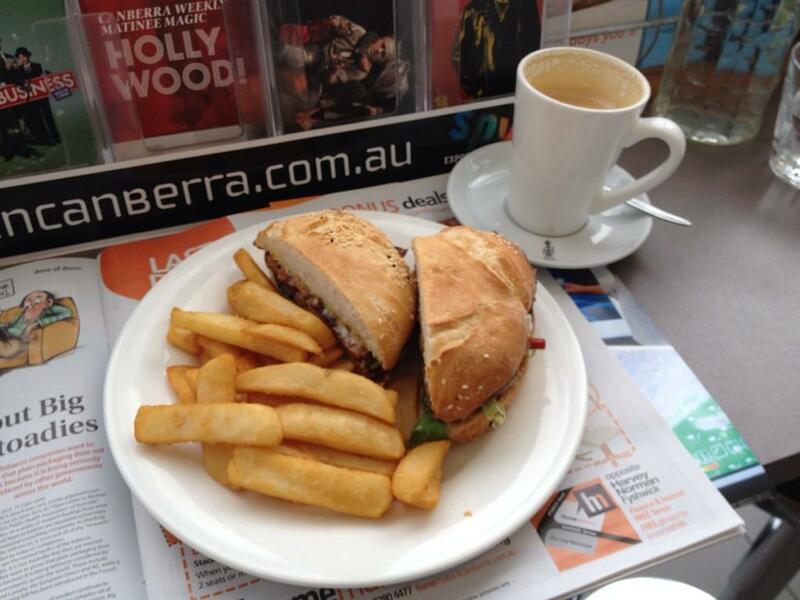 This entry was posted in 3 #Canberra Beanies, Current Top Ten - highly recommended and tagged burger, Canberra, CBR, food, fyshwick, grilled, lamb, lunch, on, plumb, specials, tennant. After a hot tip from Laksa connoisseur @rachiperera I enjoyed an AMAZING $15 lunch at Café Bamboo on Lonsdale Street Braddon. I was once a regular at this place a few years ago when I worked in Braddon and am familiar with their popular lunchboxes and noodle soups. The Laksa was only $12.50 (order and pay at the counter) and there was a wide selection of well-priced drinks from the self-serve fridge. I picked up a tasty aloe vera drink for only $2.50. The taste and texture of the Laksa was sensational, with a generous topping of crunchy fried onion, plenty of bean curd, seafood and vegetables as well as a combination of noodles. 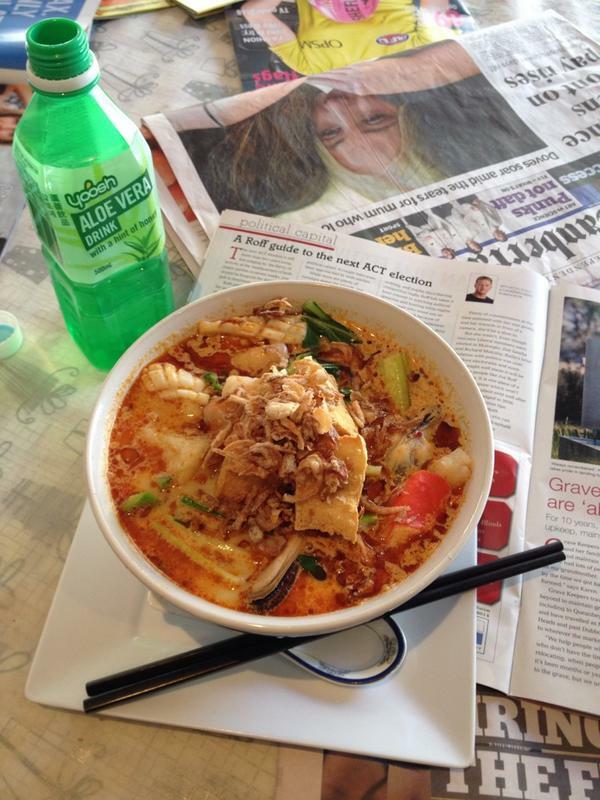 It was the best Laksa I had ever tasted but was great value at 12.50. 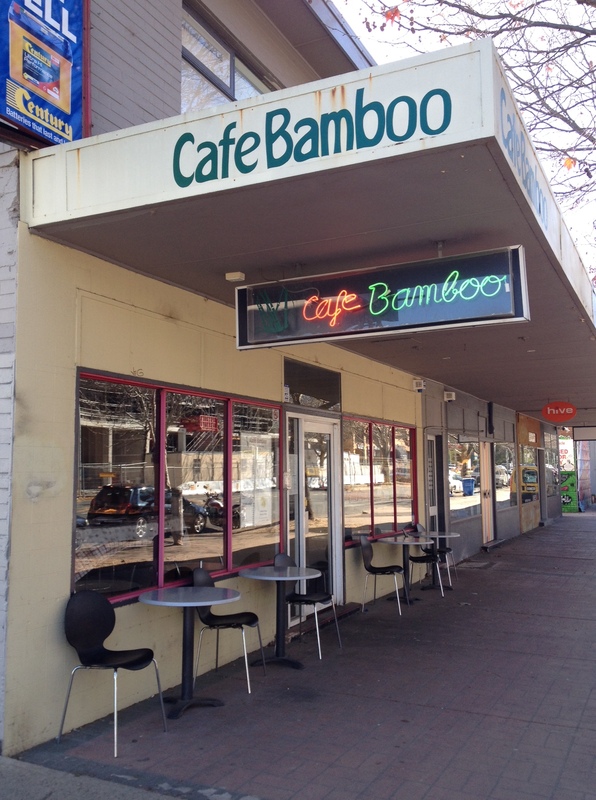 Café Bamboo is highly recommended and gets three #Canberra Beanies! This entry was posted in 3 #Canberra Beanies, Current Top Ten - highly recommended and tagged bamboo, braddon, cafe, Canberra, CBR, food, foodie, laksa, lunch.